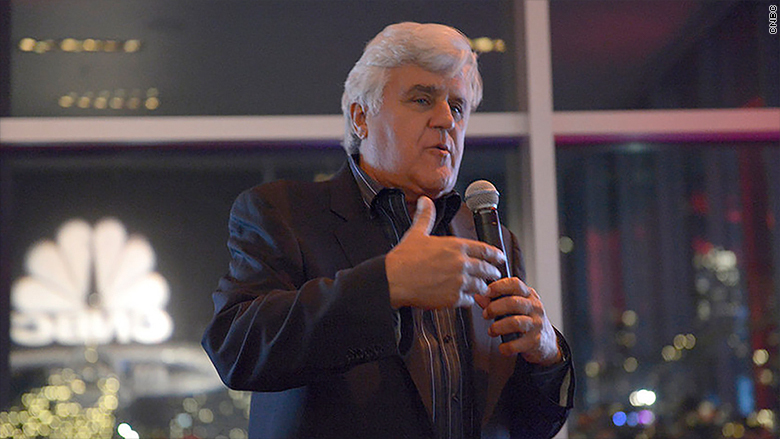 "Jay Leno's Garage" kicks off its second season on CNBC June 15. Jay Leno spent 20 years at the epicenter of political comedy, but he's watching this year's historic campaign from the sidelines. And what he mostly feels is a sense of relief. "I grew up in the era where Clinton was horny and Bush was dumb and Gore was a robot," Leno said by phone. "It was just a simpler time." Leno has hardly drifted away. He'll perform 210 live dates this year. And his CNBC series devoted to his love of cars, "Jay Leno's Garage," kicks off its second season on June 15. Still, as host of "The Tonight Show," Leno often set the tone for political humor, and earned a reputation for being even handed. "I never questioned anybody's motive," Leno said. "I just questioned their judgment." The comic -- who left the show in 2014 -- feels differently about this year's presidential race, particularly the rhetoric being used by Republican candidate Donald Trump. Leno specifically mentioned Trump's call for President Obama to resign on the day of the Orlando shootings. "How do you play fair? How do you do a pro-Donald Trump joke? You can't. At least with Bush or Clinton, you could go back and forth. But this...."
Of the political climate, Leno said, "All this homophobic, vitriolic, anti-Muslim stuff, it's just so nasty. Talk about, 'You get the government that you deserve.' This is pretty incredible." Leno suggested the bitter nature of partisan discourse "has a debilitating effect," adding, "When we were on 'The Tonight Show,' when times were serious, you did silly jokes. And when times were silly, you did serious jokes. What do you do here, with this Orlando thing? Even telling a joke seems wrong. I'm glad I'm out of that business right now." Leno was always courteous to guests, usually to a fault, but he said that would have been difficult with Trump. "I'm sure I'd be polite," he said. "I couldn't see myself being overly gracious. I would try to nail him down and keep him from hitting all the stupid talking points. It's just uncomfortable to watch." Leno said that the scandals surrounding Hillary Clinton are more in line with those that have characterized politicians in the past. "It's still within the level of acceptable corruption," he joked. "But Trump goes beyond it."